Europe's biggest frozen food group is overhauling its comms as the sector fights to boost its credibility in the UK. Private equity-owned Iglo Group has worked with Freud Communications on a lucrative brief covering both consumer and corporate for six years. But the owner of Birds Eye has now shifted its Europe-wide corporate work to incumbent financial agency Pelham Bell Pottinger and embarked on a consolidation of other PR activities. The consolidated consumer, b2b and social media work for Birds Eye in the UK could be worth up to £500,000, according to agency sources with knowledge of the brief. Apart from Freuds, which will be considered for the brief despite not formally pitching, Birds Eye’s other UK incumbents are Mercieca for b2b and Glue Isobar for social media. PRWeek understands that Creativebrief is handling the pitch process. Maria Darby-Walker, corporate affairs and PR director for Iglo Group, said that the consolidation of the work was aimed at increasing efficiency ‘and better reflecting how we work internally’. 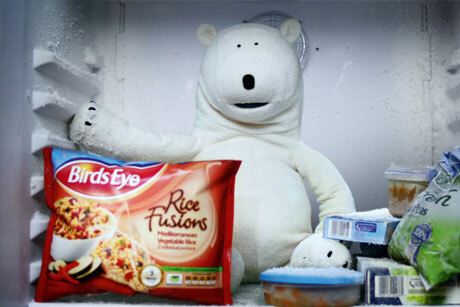 Birds Eye was one of the frozen brands involved in a Food and Drink Federation campaign on quality and taste last year. Iglo’s shake-up coincides with the departure of its CEO Martin Glenn, who said he was leaving due to ‘battle fatigue’. During his tenure, Iglo saw a rise in turnover from around €1bn (£856m) in 2006 to about €1.6bn (£1.37bn) in the last financial year. Pelham Bell Pottinger was given the financial brief by Iglo Group in 2011. Owner Permira called off a sale of Iglo last year as its valuation was not met.